Hugh Glass–Hugh Glass was an American fur trapper who survived against tremendous odds. In 1822, many men responded to an advertisement in the local newspaper written by General William Henry Ashley. The advertisement called for 100 men for a fur trading expedition. Glass did not join until 1823 when he met up with the group (the group was later known as Ashley’s hundred) and were attacked by Arikara warriors. Glass was shot in the leg and the survivors retreated downstream for help. The group eventually went back to Fort Kiowa to regroup for the trip west. Glass, General Ashley, and several others set out for the forks of Grand River. When he was scouting out for trapping spots, Glass surprised a female Grizzly Bear and her cubs. The bear charged picked up Glass and bit him in the side. He was severely injured. 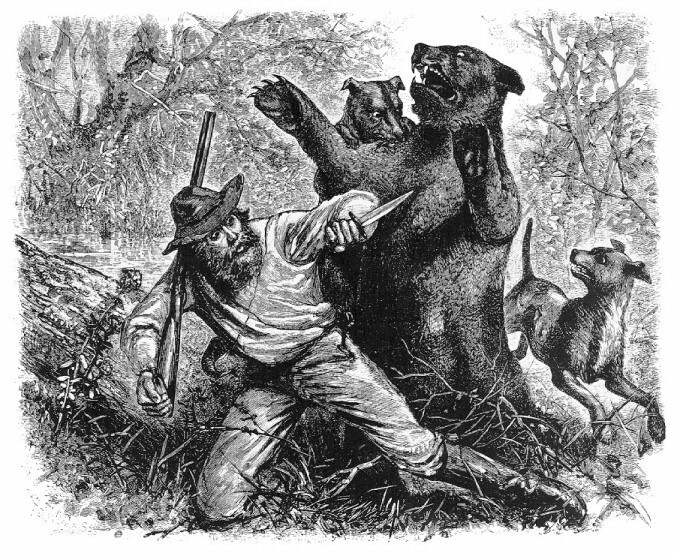 Glass, with the help of his companions managed to kill the bear. His companion did not think he was going to make it nevertheless, they brought him along. Trying to bring Glass along greatly slowed their travel speed so, General Ashley asked for 2 volunteers to stay behind and wait until Glass died and burry him. John S. Fitzgerald and a man who was later identified as “Bridger” stepped forward. As the rest of the group went on they began to dig Glass’ grave. Later they were said to have been attacked by Arikara warriors so, the two collected all their equipment (and Glass’) and fled. They later caught up with the rest of the group and incorrectly reported Glass had died. Despite his injuries, Glass regained consciousness, but found himself abandoned, without any equipment. He had many wounds and besides that was 200 miles from the nearest American settlement. He fixed his leg into position and covered himself with the bear hide that had been placed over him as a shroud. He began to start crawling back to Fort Kiowa. To prevent gangrene from his wound, he sat on a log and allowed maggots to eat his dead and infected flesh. Glass crawled to The Cheyenne River, where he built a raft and floated downstream to Fort Kiowa (it’s possible he was helped by Native Americans). Once he had recovered from his bear incident, Glass set out to find Fitzgerald and Bridger. When he found Bridger, he forgave him because of his youth. He later learned that Fitzgerald had joined the army and was stationed at Fort Atkinson. He traveled there as well, where Fitzgerald returned his “borrowed rifle”. The only reason Glass spared Fitzgerald’s life was because killing an officer in the army would get you killed. He told Fitzgerald he better stay in the army or he would still kill him. Steven Callhahan– Steven Callhahan departed from Newport, Rhode Island aboard The Napoleon Solo, a 21.3 foot sloop he had designed himself, and single handedly sailed the boat to Bermuda, and continued his voyage with Chris Latchem. He had left Cornwall that fall, heading for Antigua as part of The Mini Transat 6.50 single-handed sailing race from Penzance, England, but dropped out in La Coruña, Spain. Bad weather had sunken several boats in the race and damaged the Napoleon Solo. Callhahan repaired the boat and continued sailing through Spain and Portugal. He departed El Hierro in the Canary Island on January 29, 1982, still headed for Antigua. In a growing gale, 7 days out, his vessel was badly holed by an unknown object in a night storm, and started to sink, although it did not sink right away due to airtight compartments. Unable to stay aboard the sinking Napoleon Solo, Callhahan escaped into a six person inflatable life raft. He stood of in the raft, but managed to get back on board several times and retrieve a piece of cushion, a sleeping bag, an emergency survival kit, some food, flares, a short spear gun, a copy of Sea Survival, and other previsions. A little before dawn, a big breaking in the sea parted the life raft from the Napoleon Solo. The raft drifted westward with the South Equatorial Current and the trade winds. After the food Callhahan had collected from the sinking Napoleon Solo was all eaten, Callahahan learned how to adapt to the ocean environment. He survived primarily on mahi-mahi (a very good type of fish if cooked correctly) and trigger fish, which he shot with his speargun. He collected drinking water from his solar stills and rain water, which altogether produced about a pint of water a day. While adrift, Callhahan spotted 9 ships, but no one saw his emergency flares and he was left frustrated. He regularly exercised, prioritized problems, made repairs, fished, and more. On the night of April 20, 1982, Callhahan spotted lights of the coast of Marie Galante. The next day his 76 day journey afloat ended when fishermen spotted him of the coast. 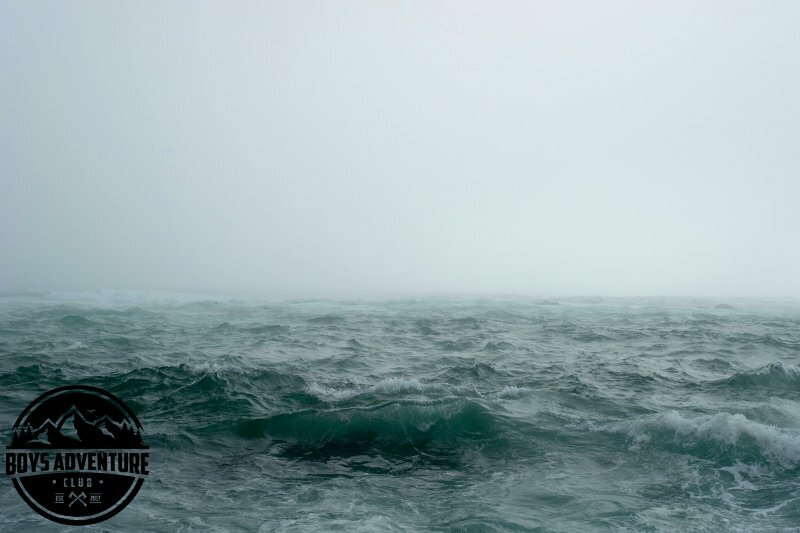 During his journey he faced sharks, life raft punctures, mental stress, and more. He lost 1 third of his weight, and had many sores from the salt water, so he was taken to the hospital, but only stayed for a couple hours. Aron Ralston– Aron Ralston has one of the greatest survival stories of self discipline and the will to live of all time. In April 2003, Ralston was hiking through Blue John Canyon, in eastern Wayne County, Utah. While he was descending a slot canyon, a loose boulder became dislodged as he was climbing down and smashed Ralston’s left hand, and then crushed his right hand against the canyon wall. Ralston had not informed anyone about his expedition, so no one would be searching for him. He was almost sure he was going to die, so he spent 5 days slowly siping his 350 ml of water and slowly eating his small amount of food, 2 burritos. He tried many times to free his right arm from the 800 pound boulder, but his efforts for no use. After 3 days of trying to free his arm from the boulder, Ralston prepared to amputate his trapped right arm in the mid forearm, in order to escape. He experimented with tourniquets and cuts on his forearm. 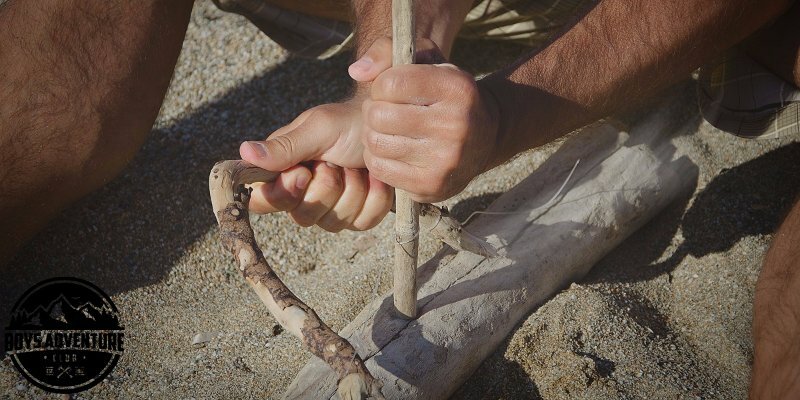 On the fourth day he realized that he would have to cut through the bone to free himself, but the tools he had brought were inefficient to use. On the fifth day, he he ran out of food and water and even decided drink his own urine. That day he carved his name, date of birth, and the date he assumed he would die. He did not expect to survive that night. After waking at dawn the next morning (the sixth day), he he thought he could break radius and ulna bones against his trapped arm. He did so, and the performed the amputation, which took about an hour with his dull blade on his multitool. After he freed himself, Ralston still had to get back to his truck. He climbed out of the slot canyon and repelled down a 65 foot sheer wall, then hiked in the midday heat. His vehicle was still 8 miles away and he had no phone. However, while hiking down the canyon, he flagged down a Netherland family one vacation, who gave him water and Oreos, then hurried to alert the authorities. His worry now was bleeding to death. By the end he had lost 40 pounds and 25% of his blood supply. The rescuers searching for Ralston, had narrowed it down to the canyon area, and lifted him out by helicopter.